The division was created for the first Legislative Assembly election in 1974. It was named after the bay adjacent to the division. The name Fannie Bay is believed to have originated from Fannie Carandini, an opera singer who performed in Adelaide in 1869, a month before the surveyors who accompanied Goyder left to establish the settlement of Port Darwin. The 2015 redistribution saw Fannie Bay lose all of Stuart Park to the division of Fong Lim. 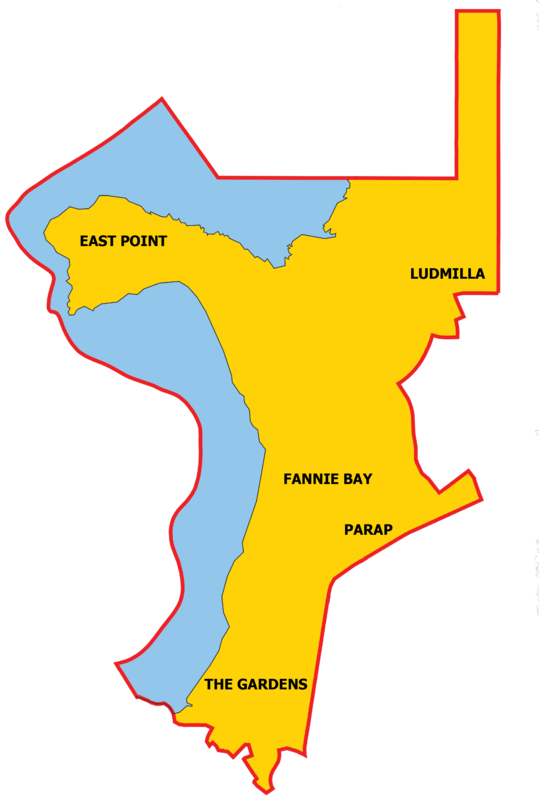 Parts of Parap and Ludmilla were moved to Fannie Bay from Fong Lim. This division lies adjacent to the Darwin CBD and includes the suburbs of East Point, Fannie Bay, The Gardens, Parap and parts of Ludmilla.